On March 11, Vatel Bordeaux hosted the L’Étiquette – Blind Tasting Inter-School Wine Tasting Challenge created by Kedge in 2016. 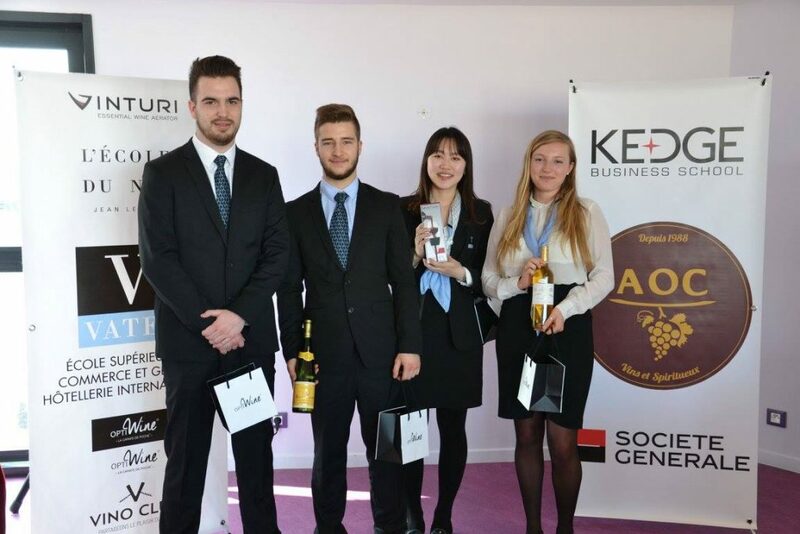 Six teams of four students from the Kedge, the ESVV (School of wines and wine sciences), the EM Lyon and Vatel Bordeaux met to defend their schools’ colors. taste comments for the three teams making it into the finals. This was quite a challenge for Vatel Bordeaux, who was participating in this kind of event for the very first time, with a team made up of Pierre Laloge, the president of the new Vintel oenology association, Adrien Galipaud, its vice-president, Lucia Song, an MBA Wine and Spirits Management student, and Valentine Jaouen, in her first international MBA year. Our four challengers didn’t make it to the finals, but they only had praise for this competition. 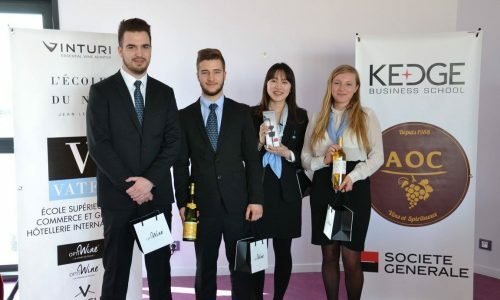 “Since we’ve started this competition, we’ve received more and more requests from students who love wine and are curious; this enthusiasm is encouraging us to expand,” added Adrien Galipaud. “We’re currently working on events to be held beginning next September. So be patient, there will be loads of good times and discoveries down the road,” he promised. L'Etiquette #2 from Aoc Kedge on Vimeo.